Version 1.4 is now available in the AppStore and it can be downloaded now. Currently there are some bugs related to Evernote that I haven’t been able to reproduce yet. I hope that this version will help me to track down the bugs a little more. The basis for this is an improved functionality to send me better bug reports. If you send me a mail with an error information, corresponding log files will also be sent. You can also reject the sending of log files. The log files can also contain information about your journal entries. 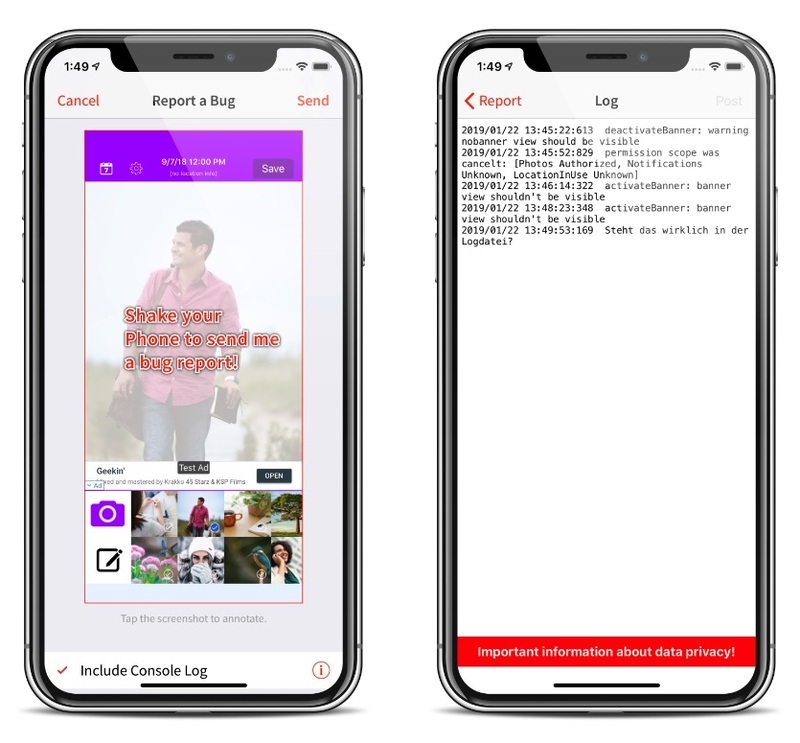 If you are unsure what information will be sent, check the log file viewer in the YourDay app settings or simply send the mail to your own email address first. If everything is fine, send the mail to feedback@improveyourday.com. For error analysis, it would be nice if you could send feedback direct from the screen where the error occurred. You can simply shake your iPhone at any point and you’re in the feedback screen. In the feedback screen you can add notes, arrows, or markers by simply touching at any point. I am really grateful to you, because your feedback helps me to make the YourDay App better. For improved error analysis there is now a log viewer in the settings. When sending feedback, you can now also send the error log as an attachment. The error log helps me a lot with the troubleshooting. If you make changes in the day view, they will be confirmed with a small message. The notification for motivation questions only worked partially. The error has been fixed. If the number of notifications bothers you, you can adjust them in the settings or switch them off completely.